Osprey high above on the river near my apartment for th last 2 days, the first Swallows of the year (yesterday), another osprey and the usual common stuff at Onuma today.....................otherwise not much around. Still waiting for my first Swallow - any day now. I would love to see a male Smew again - so many years and no shows. so crisp and tailored looking, similar to a waxwing in that regard. Mandarin is truly marvelous. I think that the UK has the largest population now and I am hoping to renew my acquaintance with this species in July. Great shot of that handsome male. We have Wood Duck here, of course; very similar in some ways but not quite as spectacular. I saw three males the other night - not too shabby! 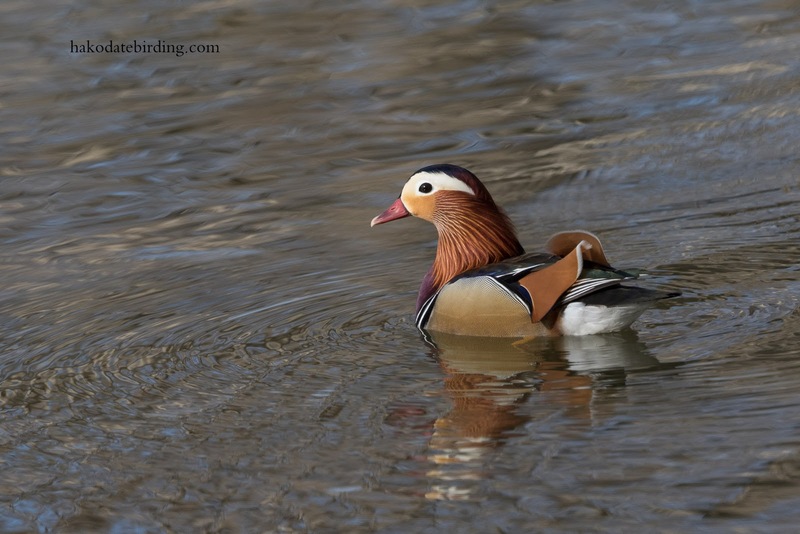 I saw my first mandarin properly recently. But as it lived in a park, it literally came up to people's feet looking for food.